Workwide Group (Workwide AB) announcement, 28th of August 2018. Karlstad, Sweden. Workwide Group is pleased to announce that Erik Engström has been appointed Workwide Group’s new Interim CEO. This appointment follows an organizational change earlier this year and will be vital to driving our continued growth moving forward. “We are happy we landed Erik for this role as he has extensive industry, leadership and executive experience which will be able to help us take the company to new heights” Simon Nilsson, Co-founder of Workwide Group comments. “I am very excited to join the experienced and professional team at Workwide Group. We will accelerate our growth strategy and increase our investments in product development and marketing to continue delivering top of the class services to our growing number of customers and candidates in their search for new multilingual talents and new careers through our recruitment websites across Europe” is Erik’s first comment. 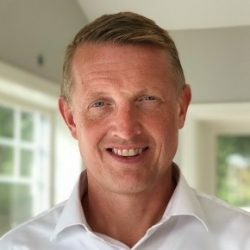 Erik’s experience includes CEO for StepStone Sweden, several leadership positions in Adecco and Lernia, Cross European Director positions in Pitney Bowes Management Services and most recently as Chief Operations Officer for MSAB.